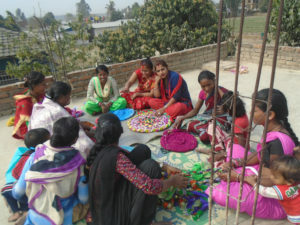 In Cha’pur the first group of 17 women went through the WCL training. It was so well received that another 23 went to the next one. Our Women CHE Trainers doubled as Facilitator, says that these first groups of women have taught at least one lesson to 1678 other women. This was eight years ago, and Asha was one of those teachers.